In HubSpot, you can add notes to records. 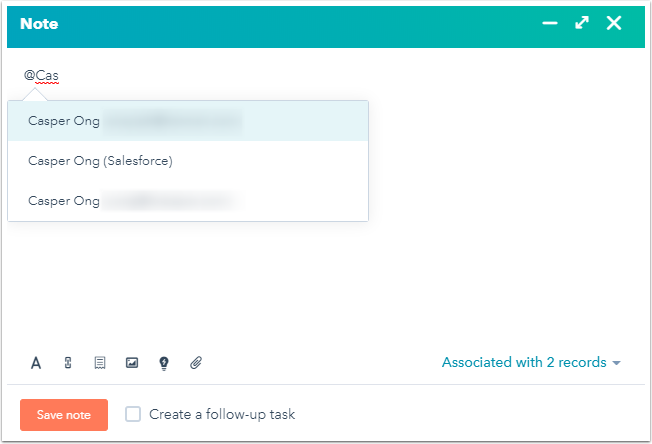 Mentioning a team member in your note helps to alert them to the note. In the left panel, click Note description. At the bottom, in the Note window, type @ and your team member's name. In the dropdown menu, select a user to tag them in your note. The mentioned user will receive a notification based on their notification preferences.